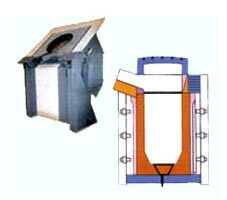 We provide superior quality Silica Ramming Mass that is used in the lining of induction furnaces. The good quality of Acidic Silica Ramming Mass is used for the excellent heating performance of the furnaces. The better quality lining on the furnace helps in its smooth working optimum output and better metallurgical control. Our Silica Ramming Mass is processed under the supervision of qualified engineers. Proper checking is done on magnetic process to assure iron free Acidic Ramming Mass and to assure proper composition of granules according to furnace capacity. Granulation is mixed and the material is supplied as per the furnace capacity and make of the user. Additionally, we are one of the foremost Ramming Mass Minerals Manufacturers in India. Melting - upto 3274Â°F (1700Â°C). Recommended for lining the iron melting coreless induction furnace. Premixed with binder to customer's specifications.